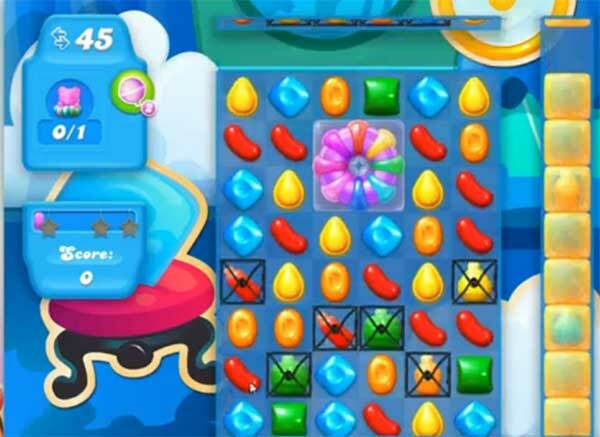 This level has medium difficulty and you need to use good trick to complete this level. For this level you should try to play near to new cake booster or break the grills. You can also use striped candy combo like striped candy with colorbomb or wrapped candy to break the honey that is in left corner. That will help to take bear to the top to reach the requirement.